We are well aware that there are many factors that come into play when selecting a handler to finish one's dog. Among the many things that come to mind, the process of showing probably ranks number one in most handlers' list of priorities. That is not the case at Shadow Hill. We realize that a dog is only going to show for a small amount of time usually only on weekends. The time outside the ring is far more important than the few minutes a dog spends inside. During this time, a dog eats, exercises, plays, learns, sleeps, etc. Proper mental and physical stimulation are essential before and after ring time in order for there to be success at showing. Shadow Hill Kennel and Farm is located in Jackson Springs, North Carolina on 134 acres of beautiful wooded land providing our dogs and our clients' dogs with many fenced acres for exercise and play. We take great pride in the fact that none of our dogs live in an enclosed kennel situation and all are provided with adequate exercise for optimal health and show performance. We encourage prospective clients to visit our facilities to get relief as to the care their dogs will receive. We understand that a safe, clean and comfortable environment is a priority for the dogs and a welcomed responsibility for us. This is why our facilities offer dogs indoor-outdoor covered areas, 24-hour access to a huge fenced play yard, and free entry to A/C or heat. There is always someone home with the dogs as we consider caring for them a full-time profession that "ain't no 9 to 5". Dogs go for everyday hikes through the woods, open field play time, creek romping, and some sort of training, be it conformation, agility, or obedience. Our dogs kibble is mixed with fruits, vegetables, and meat to provide a healthy, balanced, non-processed diet. They also receive helpings of Shadow Hill's "New Coat", our very own special vitamin mix for additional nutrition and enhanced coat growth. Fresh clean water is always available. Our strong background in conformation breeding and handling has given us a great deal of insight into the importance of healthy canine grooming habits. We have special industrial grade tubs for safe comfortable bathing. All dogs are towel-dried and then blown with a K9 dog blower. No dog is left wet for very long. 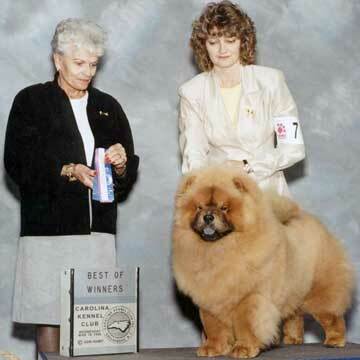 Knotting can be a real problem in breeds with longer coats. WE NEVER CUT KNOTS OUT. They are worked out. Ears are always cleaned. We clean teeth without using anesthesia to prevent coat dropping. We use grinders on nails to shape them without cutting into the quick. 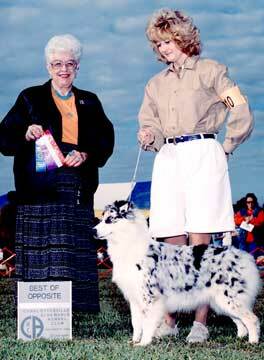 Over the last 35 years, Shadow Hill has finished countless AKC Champions and has won multiple BIS's, BISS's and group wins. Although we tend to handle more Shelties and Collies, we are versatile and can handle almost any other breed. 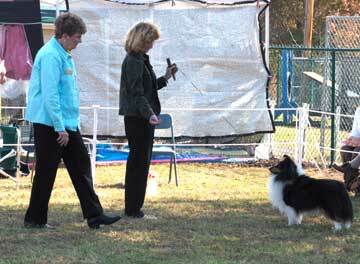 We attend many AKC shows, especially circuits covering the Southeast coast. We travel in a large dual air-conditioned van and the dogs travel in large roomy crates. Exercise stops are made while en route to the shows to ensure the dogs' complete comfort. Driving is always done in a safe and timely manner; if conditions are too perilous, we would rather wait it out than take any chances. Our many years of experience in the game allow us to comfortably and reliably provide counseling as to show and judge selection, tips on keeping your dog in show condition, and tips on bait training for puppies and older dogs alike.